Money will be bet on the two outcomes; the Home Win and the Away Win. Only one outcome will need to be paid out to winning bettors. The goal for the betting site is to ensure that the amount of money laid on the losing outcome can more than cover the payouts for the winning outcome. Any money left over after the winning bets have been paid will count as revenue for the betting site. All the betting sites that we list offer competitive odds, but some work with lower profit margins than others, which can yield higher odds for you more often. MarathonBet and Pinnacle both count as reduced-margin betting sites. If you just like to play, any of our listed sites will provide you with solid odds. 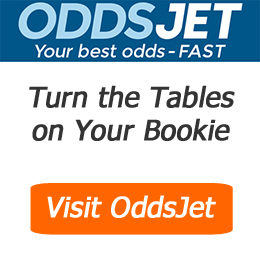 However, if you are serious about sports betting and being profitable in the long-term, you should probably be using several online betting accounts in combination with an odds comparison website meant for New Zealand like oddsjet.com before you bet in order to get the best potential payouts. Why? No one gets every bet correct, no one. 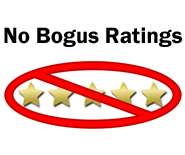 In the end, the margins for being profitable at sports betting can be very tight. You will likely need to win more bets than you lose to remain profitable over time. However, as outlined above, each betting company sets their own odds in order to make money on every event, no matter what the outcome might be. When you play through just one betting site, you will have to accept what could be much lower odds compared to the best odds on the market. As such, odds can vary significantly between online sportsbooks. On single match bets, you can see a 3% to 15% range in the potential profit on your payouts. When you compare odds for your bets of interest, you can ensure that when you win, you get the most for your stake money. Combination and System betting (aka Multiples) is an area that can see a great divergence in the available odds between betting sites. With these types of bets, odds get multiplied together. Here is an example for you: Imagine you have a combo bet with four cricket matches. You play with a good betting site, but for these 4 matches, there is another sportsbook that is offering on average a 2.5% odds premium on each of these outcomes. When you calculate the difference in potential payouts on this small combo bet, you would be missing out on a premium of more than 10% by playing with your existing bookmaker. Another type of bet where significant premiums can be gained by comparing odds comes with outright winner betting markets. In other words, the country that might win the FiFA World Cup, or which club might win the NRL come the end of the season.